Menar & Menar is a boutique firm located in New Brunswick and Freehold serving clients throughout the state and New York City. 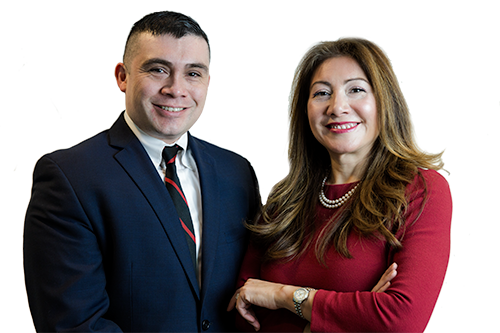 Spanish and english speaking lawyers Paula Menar and Raul Menar have developed a practice concentrated in the field of Family Law and Wills & Estates providing clients with personalized attention. "Paula represented me over 10 years ago on a visitation matter. At the time I was a young mother who was scared, confused, abused, manipulated and intimidated at the hands of an abusive spouse. Paula represented me in this matter. When I saw her... I saw her as a fellow female who was nice but I had no idea what I was in for until I got to court. When I got to court she basically turned into a pitbull and fought for me to no end. She objected to anything that could hurt me in court. She was quick on her feet and could respond to anything that was being thrown at her. She was aggressive, tough and fearless basically she figuratively knocked out my ex in court for me . She was my inner voice. She said things that I was scared to say. She could think for me and act for me. The end result was we won and the visitation terms remain in place. At the end I felt exhilarated, vindicated and relieved all thanks to Paula. She knows the law and is not scared to speak up and fight for her client in court. She represented me and looked out for my best interest and the interest of my son. I will recommend her to anyone and plan to use her again." Divorce, Family Law, Wills & Estate lawyer serving Manhattan, Edison, Metuchen, South Brunswick, East Brunswick, Colts Neck, Holmdel, Manalapan and all points inbetween with locations in both New Brunswick and Freehold NJ. © 2017 Menar & Menar Attorneys At Law. All rights reserved.